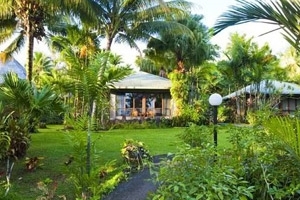 Set amidst 33 acres of beautiful tropical land, the Sinalei Reef Resort & Spa offers authentic Samoan hospitality and spirit in a spectacular exotic setting. 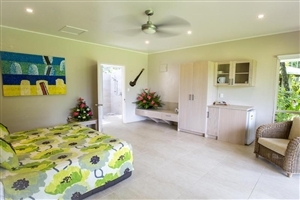 Indulge yourself with a stay at Sinalei Reef Resort & Spa, where airy and comfortable Villas and Suites are available in beautiful surroundings, with many offering unforgettable vistas out across the South Pacific Ocean. 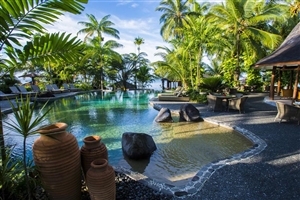 Facilities at Sinalei Reef Resort & Spa include a spa, swimming pool, nine-hole golf course and fitness centre, plus an over-water restaurant specialising in Samoan cuisine. 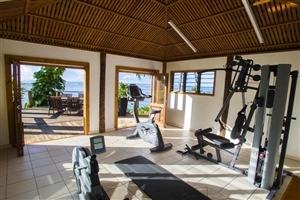 Indulge yourself in the splendour of your surroundings by taking advantage of the excellent facilities, which include a lavish spa, swimming pool, a nine-hole golf course, fitness centre and tennis courts. 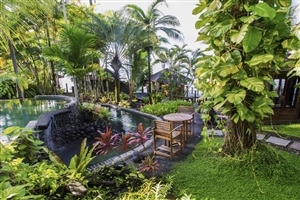 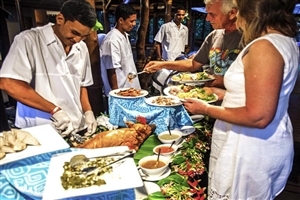 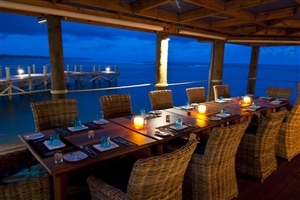 Furthermore, guests can feast on authentic Samoan fare in the over-water Ava I Toga restaurant and peer into the bubbling spring from underground lava tubes just steps away. 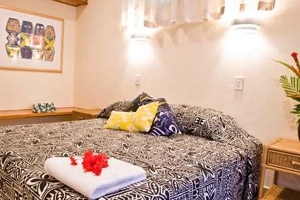 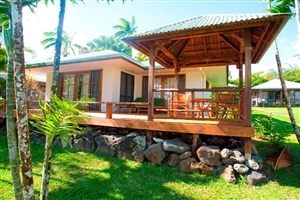 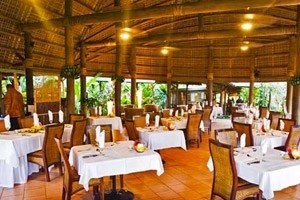 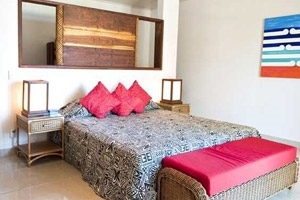 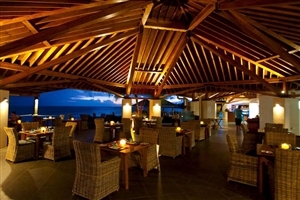 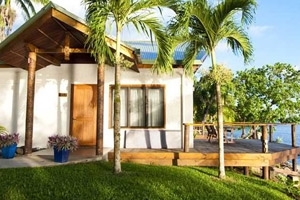 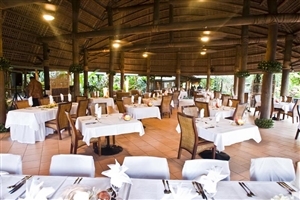 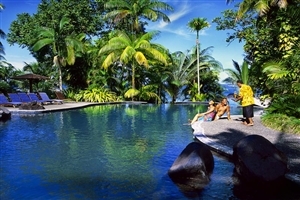 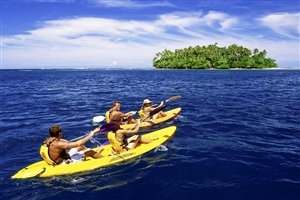 Sinalei Reef Resort & Spa is located 30mins from the Samoan capital Apia. 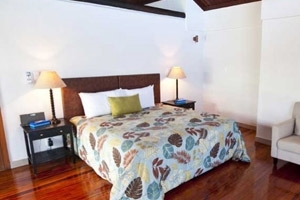 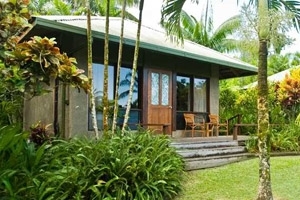 The Garden View Villa at Sinalei Reef Resort & Spa is tucked into the beautiful tropical gardens for a romantic and intimate hospitality experience. 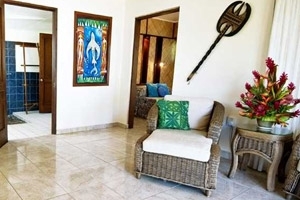 All Villas come with a special glass ceiling to allow you to be at one with nature. 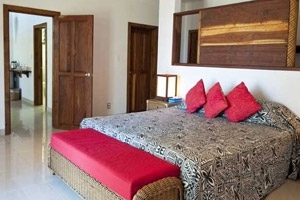 The One Bedroom Ocean View Villa at Sinalei Reef Resort & Spa allow for stunning views of the beautiful lagoon from the outdoor furnished deck. 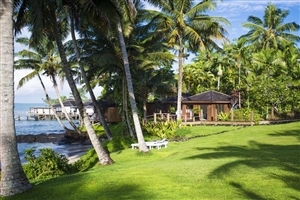 The Beachfront Villa at Sinalei Reef Resort & Spa is positioned just steps from the stunning lagoon and is backed by lush tropical gardens. 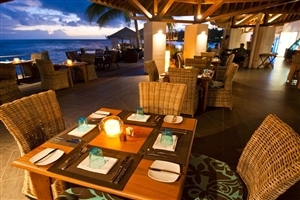 Admire unforgettable sunsets from the expansive wooden deck that extends towards the beachfront. 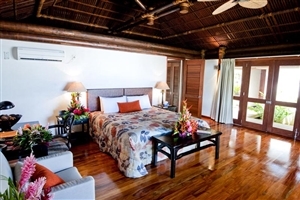 The Presidential Suite at Sinalei Reef Resort & Spa is located on the western side of the resort for a more intimate hospitality experience and for panoramic views across the ocean to be admired. 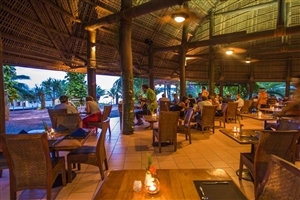 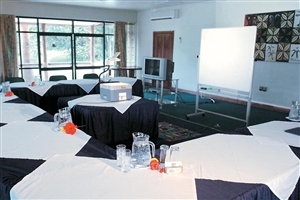 As well as direct access to the beach, guests can also take advantage of amenities that include a DVD player, open lounge area and a bar area.